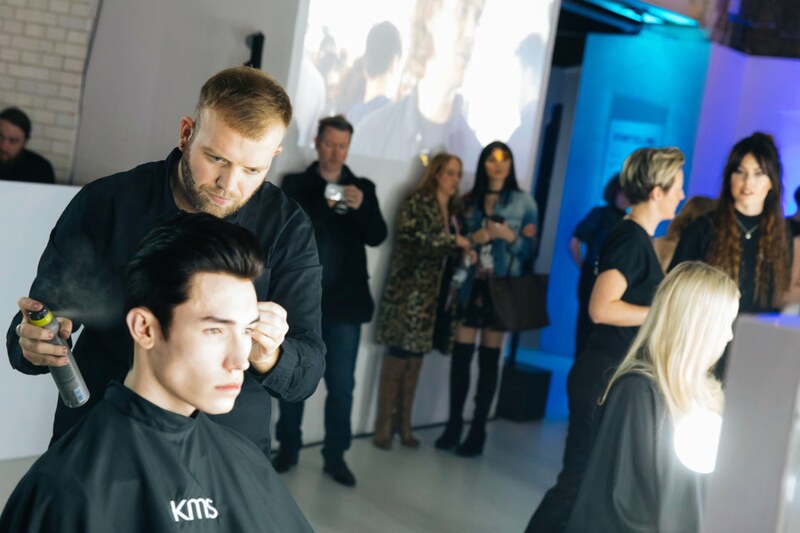 KMS has unveiled its new campaign with a London Fashion Week-style event in London. Designed to be a journey through the new KMS campaign in a live exhibition format, rooms were presented as a narrative for guests to walk through. They included live hair prep, mood boarding, backstage action, fashion and photography. The relaunch culminated in model presentations by KMS UK guest artist Shaun Hall as well as KMS UK and KMS Global Style Council members. Shaun, salon manager for the Mark Leeson salon in Chesterfield and the company’s Art Director, demonstrated new street style and high style male looks and techniques. The presenters all took inspiration from four urban fashion districts – New York, London, Berlin and Seoul.